Reply, for 'Mrs Fraser of Relic'. 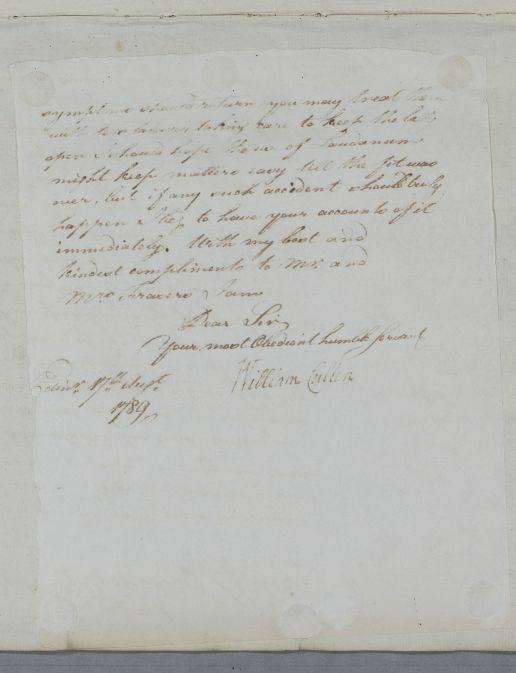 Cullen believes Mrs Fraser's illness to be based upon 'the supposition of a small concretion', a sample of which Roberston enclosed in his last letter. Summary Reply, for 'Mrs Fraser of Relic'. 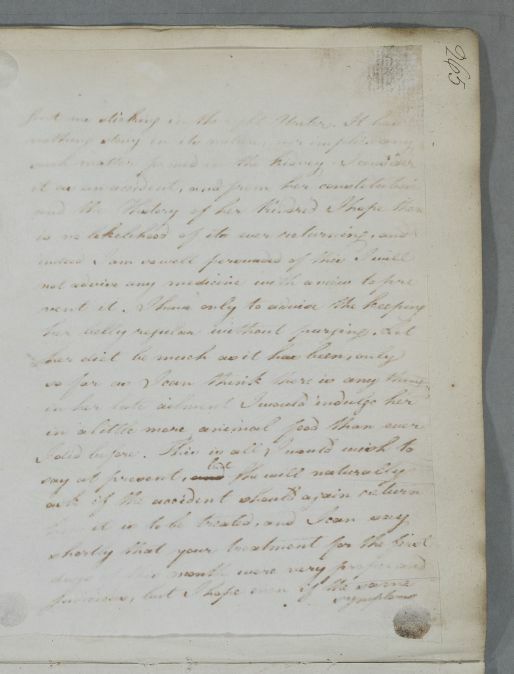 Cullen believes Mrs Fraser's illness to be based upon 'the supposition of a small concretion', a sample of which Roberston enclosed in his last letter. 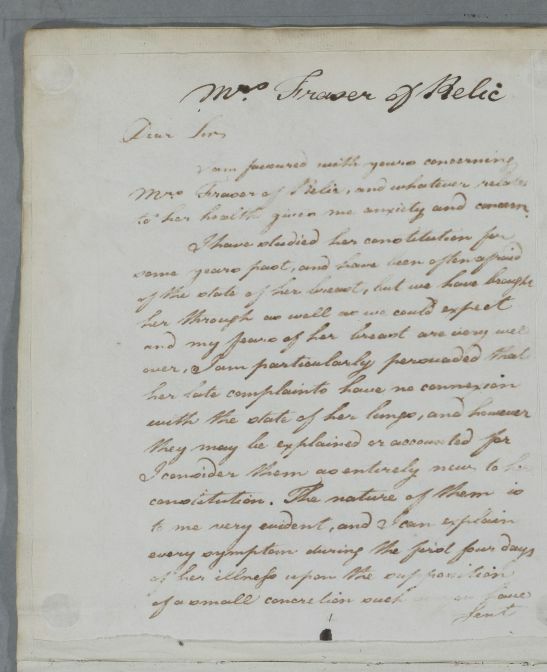 Case of Mrs [Jane] Fraser of Relict [Relig/Reelig], who suffers from breathlessness and pain in her side; she subsequently falls down stairs, becomes pregnant and is then dissuaded from suckling her child for fear of her catching milk fever and a cold. to her health gives me anxiety and concern.